If beauty contests were still PC, a bikini-clad lovely’s desire for world peace has moved a giant step closer over the first couple of weeks of this season’s IPL. In this world of sexism, bullying and using a headbutt as a means of greeting, we have been given hope from the most unlikely of sources. Few would give a United Nations peacekeeping job to Australian David Warner. His image is as abrasive as the sandpaper in his back pocket. If he’d not been a cricketer it’s not too much of a stretch to imagine him a fixture in a outback bar, angrily setting the world to rights as he punches passing Joe Roots if they cheekily get under his grill. Only this week, four of his Australian bowlers jumped to deny that they had said they would walk from their country’s dressing room had Warner not been banned after Sandpapergate hit the headlines. That they had to deny it speaks volumes and me thinks they doth protest too much. It has every chance of being a PR exercise to clear the way for Warner’s return to the Australia team, rather than the truth. 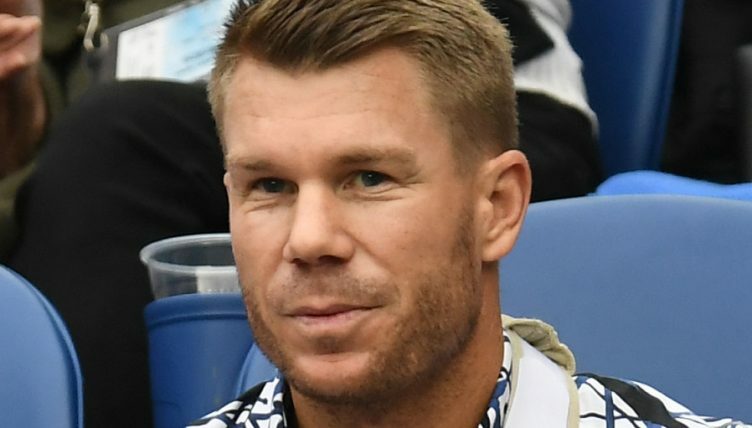 From the outside looking in, David Warner is an anagram for TROUBLE. Not literally. But Warner’s name does reshuffle into DRIVE AND WAR or A WAND DRIVER. And that is the left-hander. In a way. A genius with bat in hand, determined to win, but always with a hint of conflict about him. As Bairstow has found, he’s a man better to have onside, rather than against you. Michael Vaughan posted a photo of Warner hugging Bairstow after Yorkshire’s ginger ninja had reached his first IPL ton. Individually both players have done this many times before with teammates. But never together. Vaughan filed the pic away with the caption, “Things I never thought I’d see”. Pre-tournament, I wondered if the history between Warner’s Australia and Bairstow’s England might compromise the Sunrisers’ chances. Their success last season seemed to rely on a calm and cohesive dressing room, marshalled by the genial Kiwi Kane Williamson. Anyone casting a cloud could easily stop the sun from rising. But that is what the IPL has given the world. Two sworn enemies playing in the same shirt, having each other’s back and together celebrating the madness that is cricket. It’s a truly beautiful thing. It actually made me think of World War One when the Allied forces famously broke away from conflict with the Germans to play a Christmas football match. Warner and Bairstow are fortunate to fight their battles from a cricket dressing room. Their spats are small fry in the great scheme of things yet seeing them embrace in a show of genuine respect and friendship was heart-warming. The suspicious part of me believes we’re in a period of Cold War rather than one of everlasting love. Once the shirts are shed and the battle lines redrawn expect no quarter to be given during the World Cup and Ashes series that follow. One hopes that not too many intimate secrets have been passed on with the hand of friendship. They can only be used against you when the chips are down. What the IPL, now in its 12th year, has done is create an environment where, amidst Indian cricket hysteria, men from different backgrounds, religions and nations play under the same banner. They come together to back each other, fans take them to their hearts and all that matters is the colour of the shirt. Before I get too carried away and suggest we give David Warner the Nobel Peace Prize, he is still prone to being an arse. Just a bit less of one than he was a couple of weeks ago. You see, the IPL has even made me more mellow.